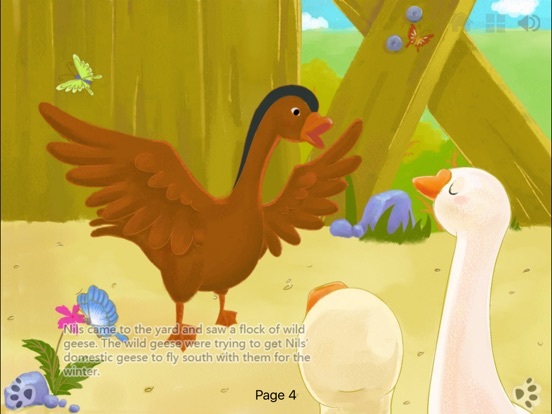 The best reading experience - Children's classic story "The Wonderful Adventures of Nils" now available on your iPad. 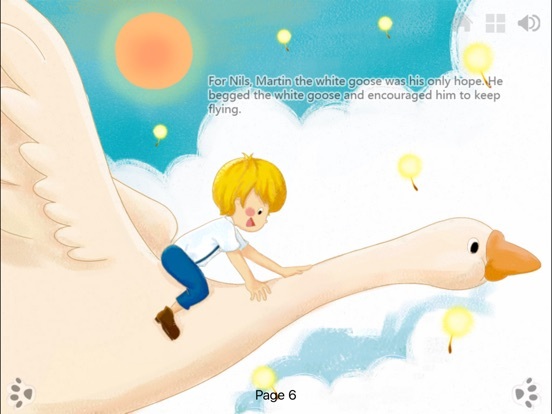 Classic story in new multimedia form: It about the little boy – Neil, very naughty, especially like abusing small animal. 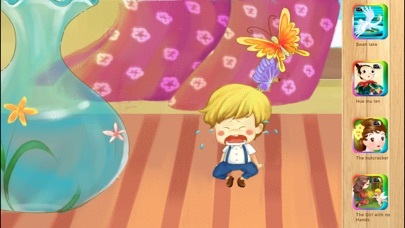 And the small HuXian make him become like a thumb size. 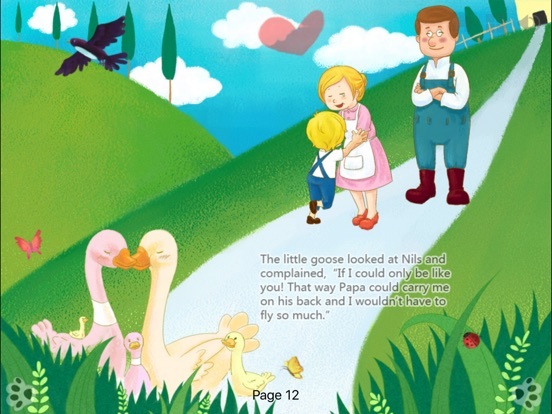 Neil in order to escape from the animals’ chase, he climb onto the goose's body. 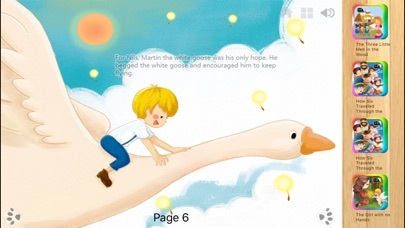 The goose fly to the sky mysteriously beyond his expectation, and travel with the geese together. It tells us that we should help people who need help, not fear strong but bluff weak. incredible digitally-redesigned pages with every detail inside. 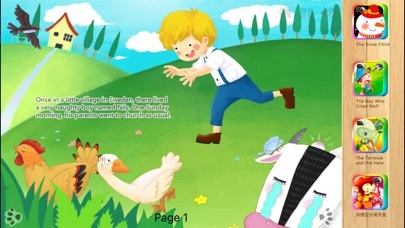 • Stunning animation effect on each page.The small animals being bullied and cried, the butterfly flying in the sky and dandelion and etc. effects, make the person at the scene. • Revolutionary redesigned interactive animations. 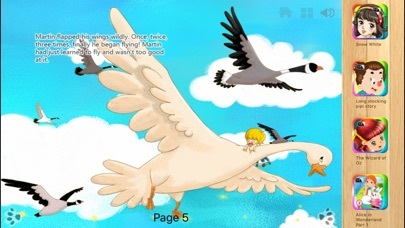 Example: You could use your fingers to drag the butterfly flying in the sky; You could use your fingers to click on the swimming swan in the water.You can interact almost everything on the screen. 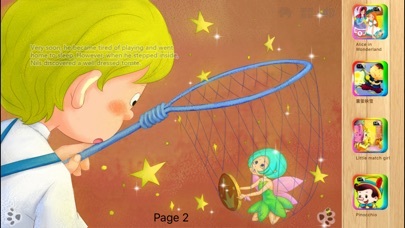 • Each page has special effects sound. Other Apps by iBigToy inc.